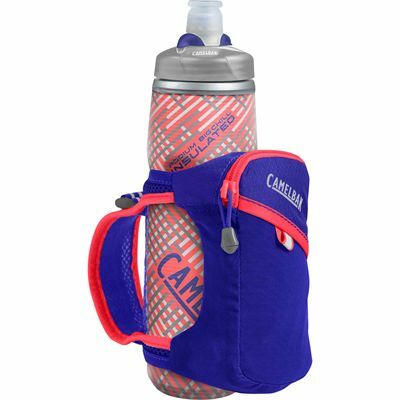 Designed to provide proper hydration during a substantial 5 – 10 mile run, the Camelbak Quick Grip Chill 620ml running water bottle offers a capacity of 620ml (21oz) and has a zippered pouch with two external pockets for your valuables and energy gels. It uses Jet Valve technology ensuring leak-proof transport, as well as TruTaste technology which lets you taste your beverage, not the bottle. 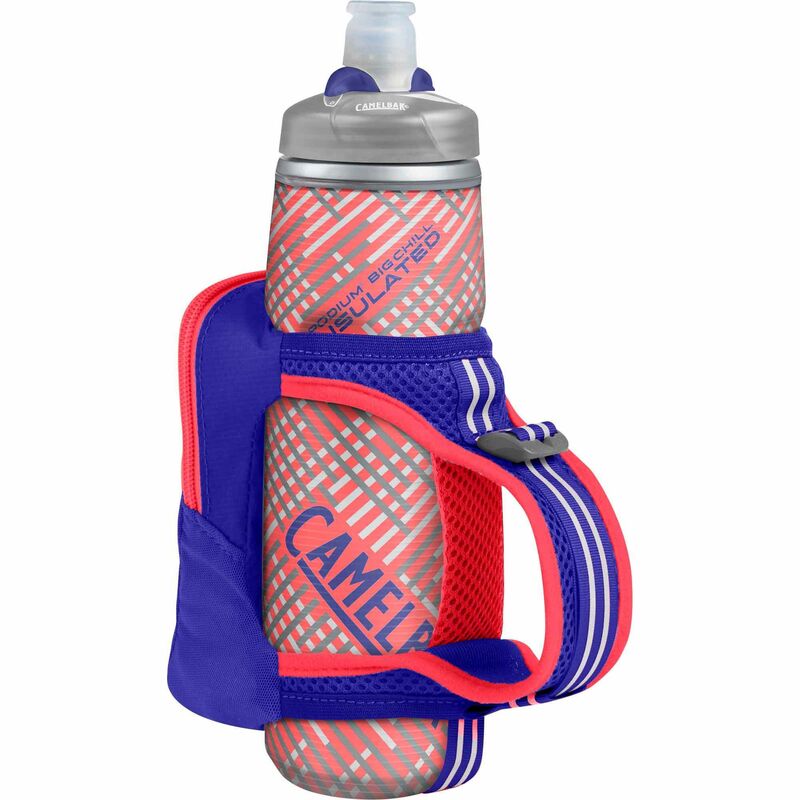 For running in low light conditions, there are reflective details and the Podium bottle is insulated to keep the water cold 2 x longer. The bottle is BPA, BPS and BPF free and features a lightweight, ergonomic design for a comfortable grip. for submitting product information about Camelbak Quick Grip Chill 620ml Running Water Bottle We aim to answer all questions within 2-3 days. for submitting product information about Camelbak Quick Grip Chill 620ml Running Water Bottle. We aim to answer all questions within 2-3 days. If you provided your name and email address, we will email you as soon as the answer is published. for submitting product review about Camelbak Quick Grip Chill 620ml Running Water Bottle.